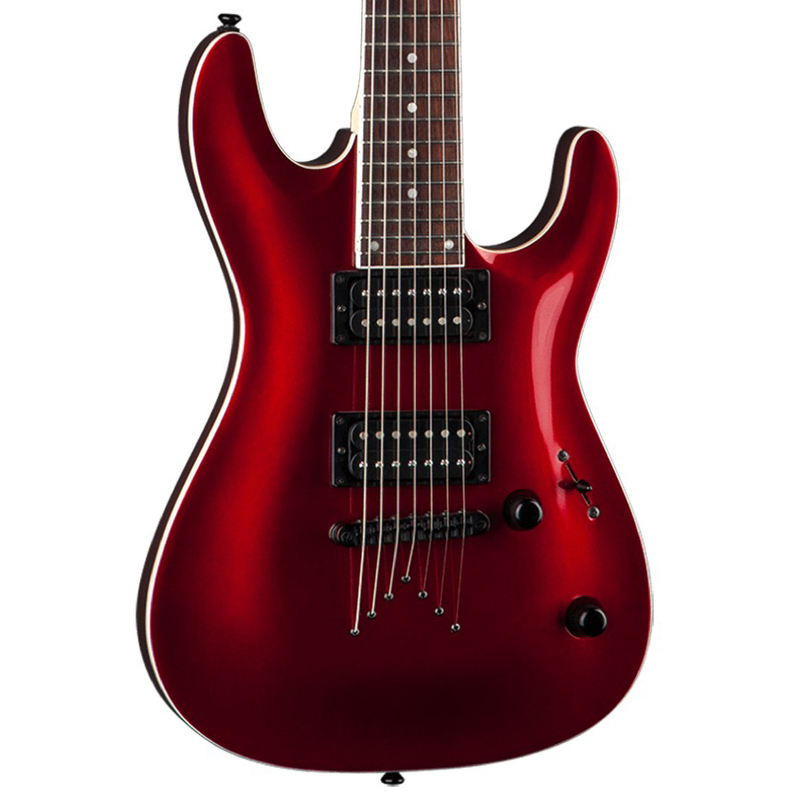 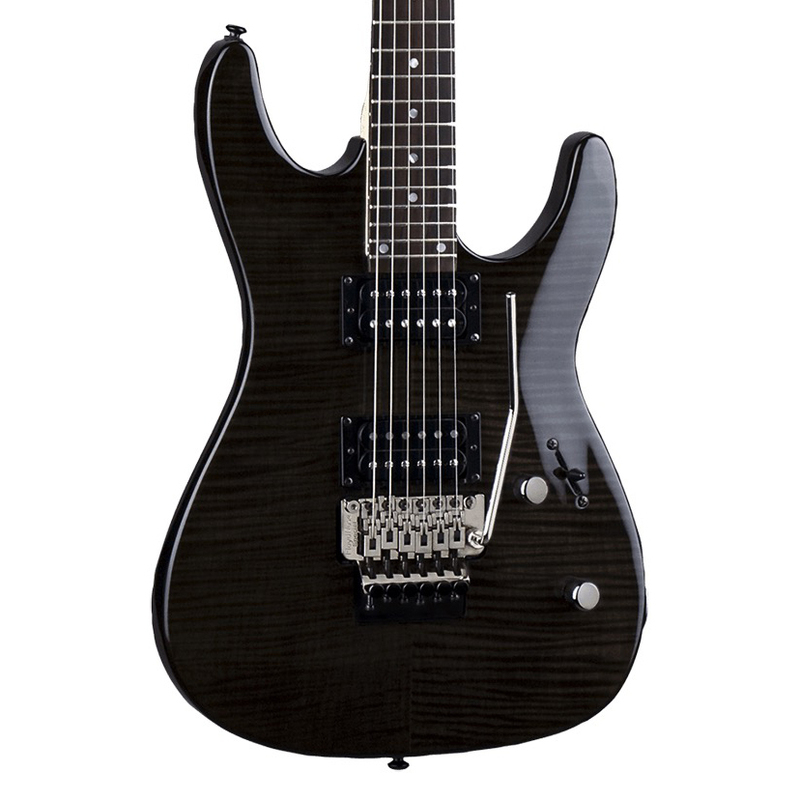 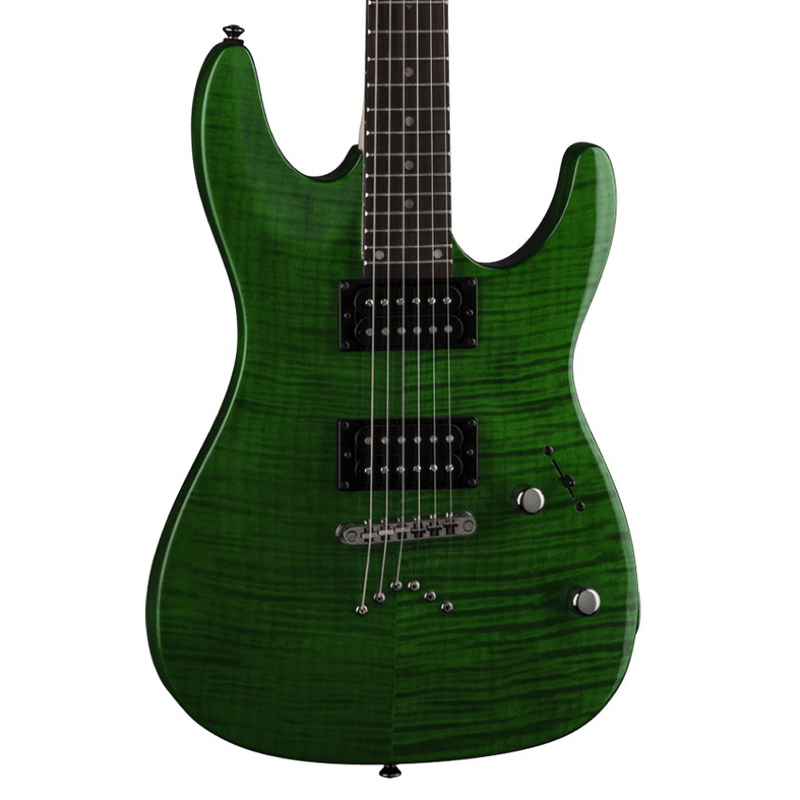 An affordable 7-string with remarkable build quality, great pickups and a comfortable feel! 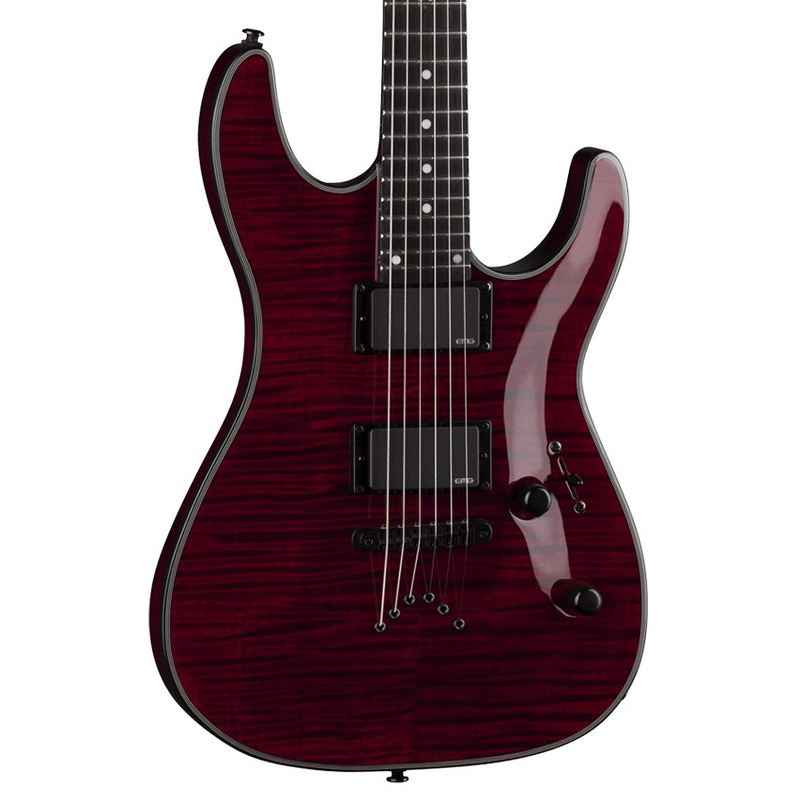 The Dean Custom 750X features tight low end, bright attack and crisp, clean definition throughout its vast tonal register thanks to a pair of DMT Design humbuckers. 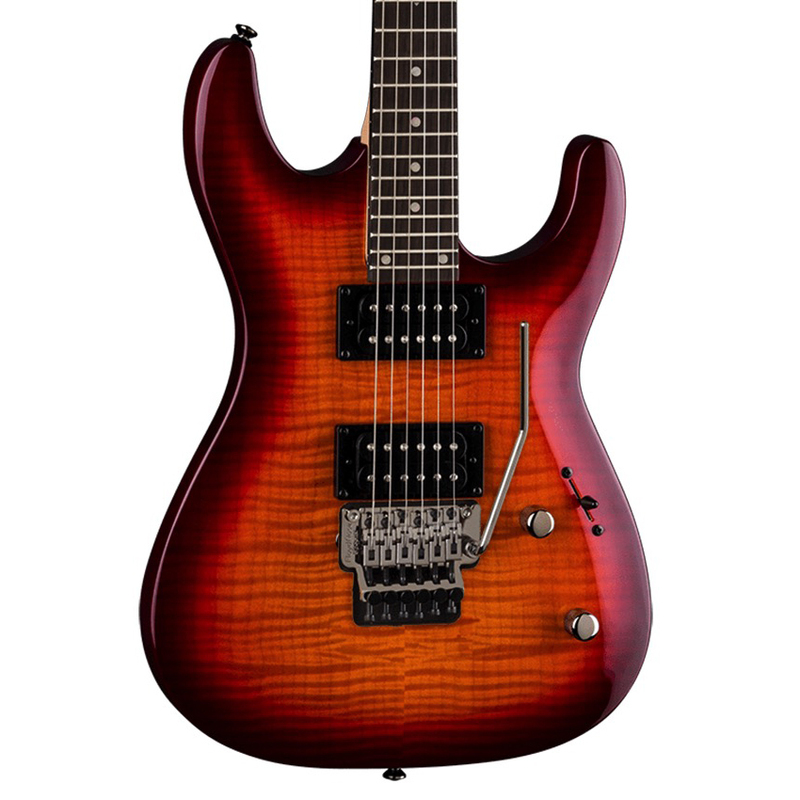 The Basswood body, Maple neck and Jatoba Fingerboard combine for a powerful tone with great clarity which is essential for a 7-string.